Well my mini target of a minimum 500 words a week on my work in progress - which I started in January - has been working really well and even on difficult weeks I'm exceeding that target. In fact this month I almost managed 5,000 words, but have fallen a little short by less than 250 words. I'll be continuing the minimum word count each week, but my new challenge will be to write 5,000 words in March. I'm now at a stage where not only am I discovering information about my heroine that I didn't foresee when I was doing my character sheets last year, but elements within specific chapters (that I had outlined) have needed shifting around a little too. When the idea for the novella first came to me all those years ago, I wrote two different scenes, both involving my heroine Sarah, and having written one of those two scenes earlier this month, and reached the other scene today, I know I must find those original pieces- they captured something that I can't grasp now, but know is needed for these scenes. 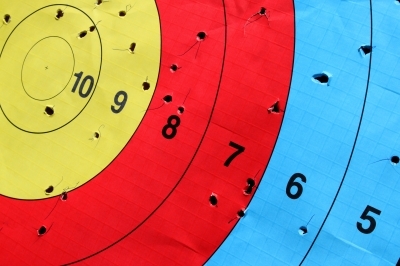 Do you find setting yourself targets a help, or a hindrance? I always set myself a target. Every week for just over a year I've been writing a weekly 'Goal List' it does work. It took a while to put into action, but it certainly keeps me accountable to myself, and I post it up every week on my blog, so I can keep referring back to it and ticking off what I've done. Great to hear your word targets have worked! Setting targets works for me as long as I don't make them too challenging. If they are I tend to give up completely. On my rewrite I tried setting myself a chapter a day, at which I failed miserably to start with but then got into the swing. When I get back from UK I shall be doing the same with another book - a chapter a day, I hope. I'm always full of good intentions about targets, Carol, but I don't seem to work that way! This week, I've been slightly stressed getting two things finished and away because I mistook the deadline for one fo them. Still need to be more organised but at least I'm producing the work! The trick is to shoot first and whatever you hit - call it the target. Patsy, you are right, they have to be achievable targets if you want to reach them. I think we all need to remember real life can get in the way of our best intentions, Rosemary. It's taken me years to find what works best for me. I find it helps a great deal to set targets and also to set a major deadline, as in "I want this draft finished by...". I don't always make it, but setting a target forces you to put the work higher on the priority list. You achieve more by having that approach, even if you fall short. Great blog.